Precise Installation. Easy Adjustment. Bold Styling. From the innovative DEX hardware, to the one tool adjustments and high-quality materials, Axiom Back eliminates choosing between form or function. Featuring the most adaptable hardware ever. 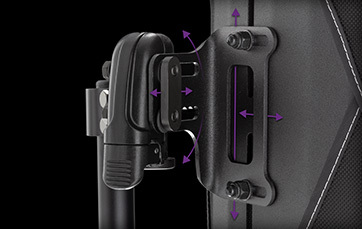 The mounting clamp of DEX hardware takes up the least amount of space on the back post and works with all back post styles, sizes and tube diameters. Independent height, depth and angle adjustment without the need to move the clamp on the back cane. The indexing feature of the brackets allows for simple symmetrical alignment. 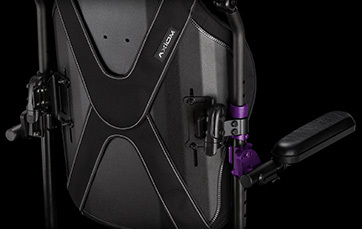 DEX Hardware makes it possible to adjust the back for the proper fit with the rider in the chair. Receivers automatically inDEX the back into place. 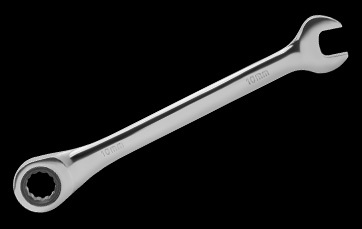 Simply push down and youll hear an audible click. Dynamically transit tested to the WC20 standard, you can rest assured the Axiom back provides secure support. 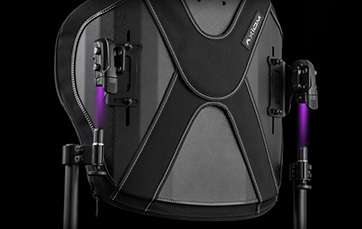 Axiom Back was designed with no compromise between durability and comfort. 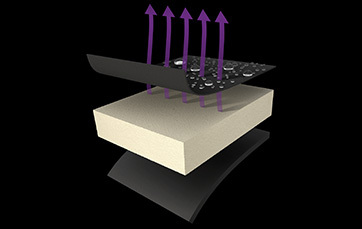 Built with high quality, high resiliency foam and revolutionary Darlexx® fabric. Installation and Adjustment with One-Tool! The 2-point mounting system gives you 2" of width, depth, and 2.25" vertical adjustment before needing to move the hardware. Custom feel without paying extra! 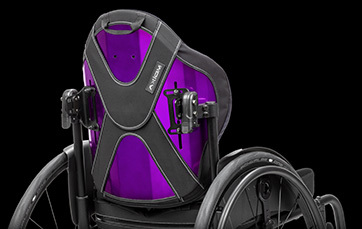 Choose a color modification to match your wheelchair. * Extended lead times will apply for selections other than Shadow Black.